Today I offer you to start preparing for summer days and consider some cool and eye-catching outfits for ladies. Below you can find gorgeous dresses with a perfect summer print – a tropical one. As usual, you can choose any length of your new piece of clothes from a flirty mini to classic knee-length, from a trendy midi to airy maxi one. After that you should think about a type of dresses, and, of course, you are free to choose your favorite kind of them. And no doubt you need to pick up an ideal print for you, for example, you can find a dress with fern, palm, floral, sun images. Now scroll down to see all awesome ideas. Enjoy! Such printed pieces of clothes look fabulous with denim items. So you can try to repeat a combination with a tropical printed V-neck mini dress, a denim jacket, a white leather clutch and gray ankle strap heeled sandals. 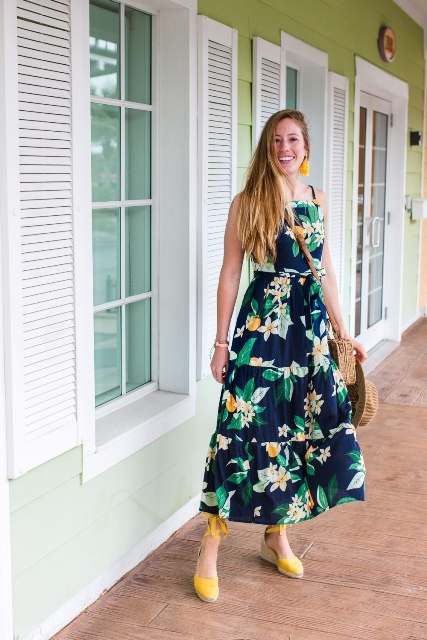 For creating a casual outfit for hot summer days you can take a tropical shirtdress and pair it with a beige wide brim hat, a beige small bag, a leather belt, sunglasses and lace up flat shoes. Or you can choose a one shoulder mini dress and mix it with white and beige slip on shoes. Wanna make a feminine and stylish look? 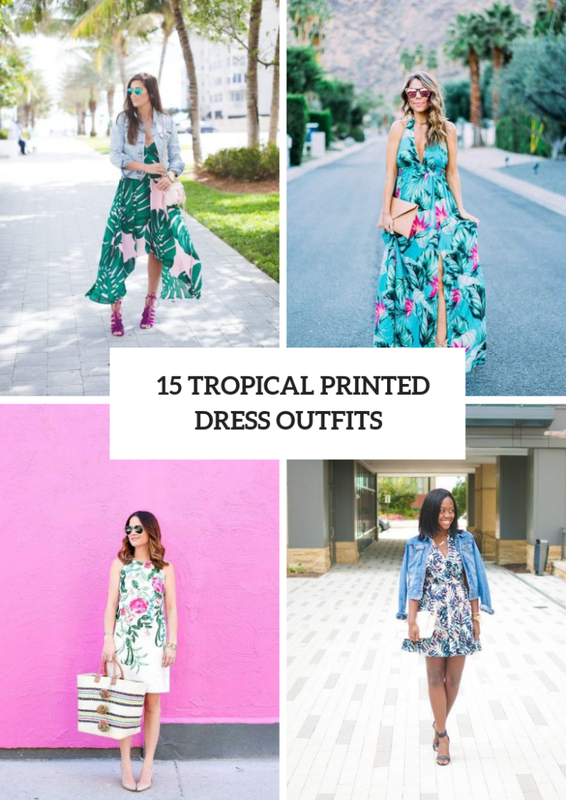 Then you can take a tropical printed asymmetrical maxi dress and mix it with a light blue denim jacket, a pale pink bag and purple lace up high heels. 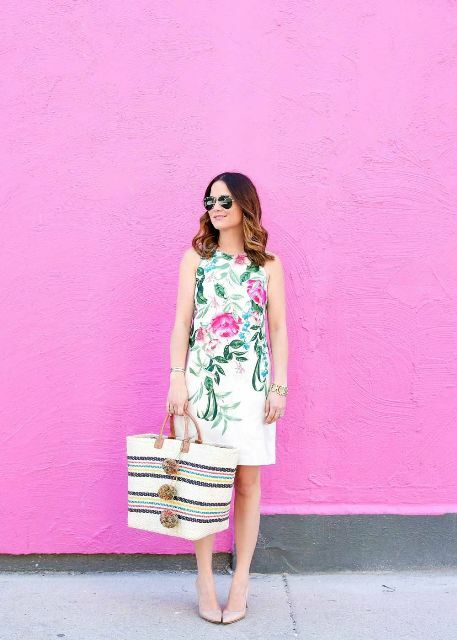 Or you can pick up a pink and black tropical printed long sleeved dress and pair it with a black fringe bag and black platform sandals. For a more relaxed look you can combine a maxi dress with a black backpack and white sneakers.